During a CiRCLE livestream for BanG Dream! Girls Band Party!, it was announced that the mobile game would be entering season 2 in Japan. In addition to this news, it was announced that there would be two special collaboration covers added to the game for its 2nd anniversary. The first of these covers has been revealed and will feature a collaboration between Afterglow’s Ran Mitake and Roselia. This united front will team up to perform a cover of Nana Mizuki and T.M. Revolution’s “Kakumei Dualism” song, the 1st opening for Kakumeiki Valvrave S2. The cover will be available in-game on March 16 and will also be featured on the BanG Dream! Girls Band Party! Cover Collection Vol. 2 album. The cover album launches on March 16. You can check out a preview of the cover below. Ayane Sakura voices Ran Mitake for the series. 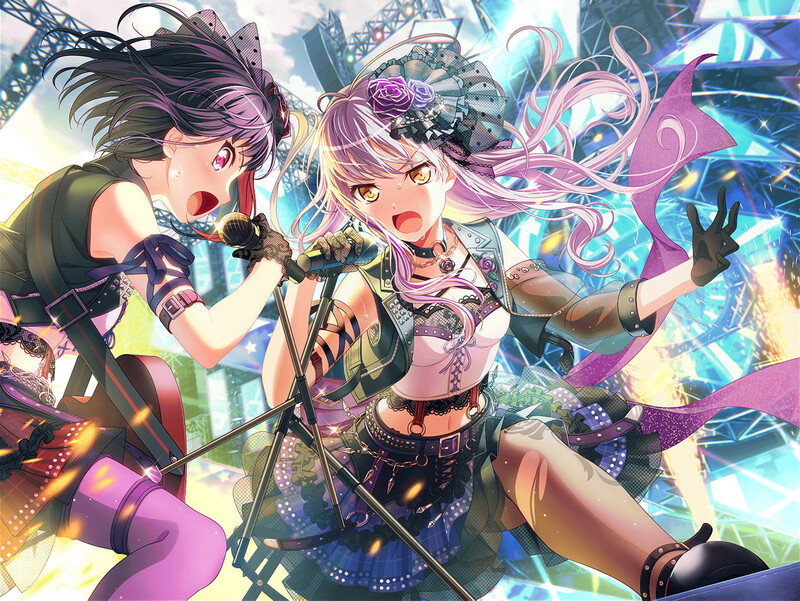 This collaboration is quite interesting as Ran and Roselia’s vocalist, Yukina, have quite the rivalry with each other in the series. 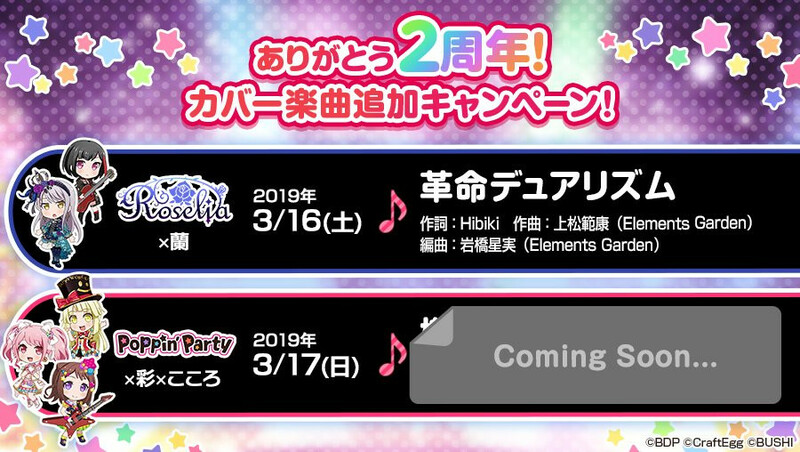 The second of the anniversary collaborations will feature the girls of Poppin’Party and Pastel*Palettes’ Aya Maruyama and Kokoro Tsurumaki of Hello, Happy World!. This song will release in-game on March 17 and will also be featured on the Cover Collection album. The song being covered has not been announced yet. BanG Dream! Girls Band Party! launched in Japan for Android and iOS devices on March 16, 2017. The game will soon be celebrating its 2nd anniversary. It launched globally on April 4, 2018.